Each of the four stops will have a $100,000 prize pool. 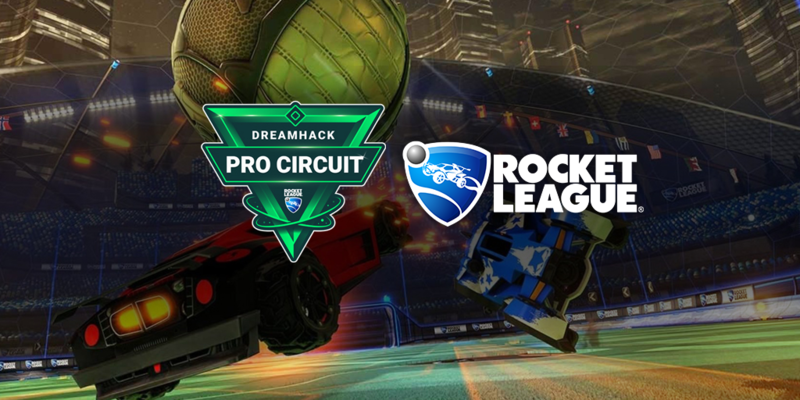 DreamHack will host a series of four Rocket League events—the DreamHack Pro Circuit—in 2019, the company announced today. Each of the four stops will have its own $100,000, offering a total of $400,000 in prize money for professional Rocket League teams. Rocket League will serve as a “primary esport” for DreamHack in 2019. The first stop for the DreamHack Pro Circuit is from Feb. 15 to 17 at DreamHack Leipzig. More information on the event will be released “at a later date,” the company said. The second stop is DreamHack Dallas from May 31 to June 2. The final two stops, one in Europe and another in North America, will be announced soon. A minimum of 32 teams will be able to compete in each DreamHack Pro Circuit stop. Online qualifiers, direct invites, and an onsite open bracket will feed into the main event. Details regarding qualification and invites will be “released in the coming weeks” alongside news of the additional Rocket League circuit stops. “Over the past two years, we have developed a strong relationship with our partners at DreamHack, and are excited to build upon that success to bring four new live championship events to the Rocket League esports ecosystem with the introduction of the DreamHack Pro Circuit,” Psyonix esports operations manager Josh Watson said.